Manheim has reported a record average van selling price of £5,398 for the period covering November and December last year. The company also said that 86 percent of LCV sales during the same period attracted an online bid, with 38 per cent of all vans sold to an online bidder. All vans sold in the reporting period had an average age of 59 months, three months younger than the same period in the previous year. As well as increased interest from online, attendance at LCV auction events was also reported as increasing, with a 16 per cent rise in physical auction attendance. 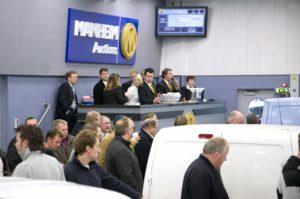 Matthew Davock, Head of LCV at Manheim, said, “Against the pressure of a record breaking 2016, and an expected market decrease in volumes, 2017 figures have been incredible. We have reported an annual growth of 5% for our overall sold volume, and our van buyer base has also grown by a further 18 per cent, extending our industry leading position in the van remarketing arena.